part of winter is definitely comfort food. it’s slow cooker meals in the form of stews & soups… it’s everything warm & comforting like snuggling up in a blanket just out of the dryer. it’s about indulging those cravings that would seem obscene in summer months when skin is bared… because, as my husband says, a little extra weight in the cold months is just a winter coat. 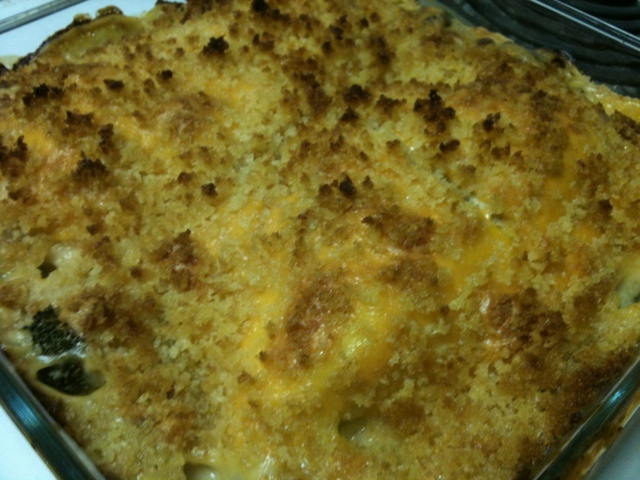 on the weekend i woke up with a very specific craving for chicken casserole that my mom used to make when i was a kid. this recipe is a classic “soup can” kinda recipe. 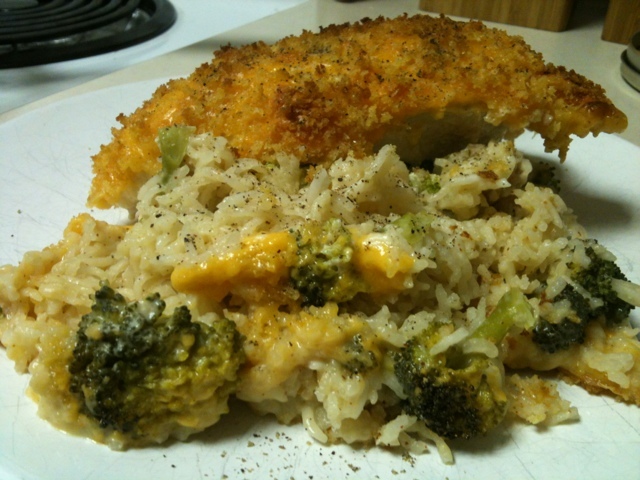 quick & easy and oh-so yummy to me. and it’s a one dish recipe, which is always a selling feature for me. 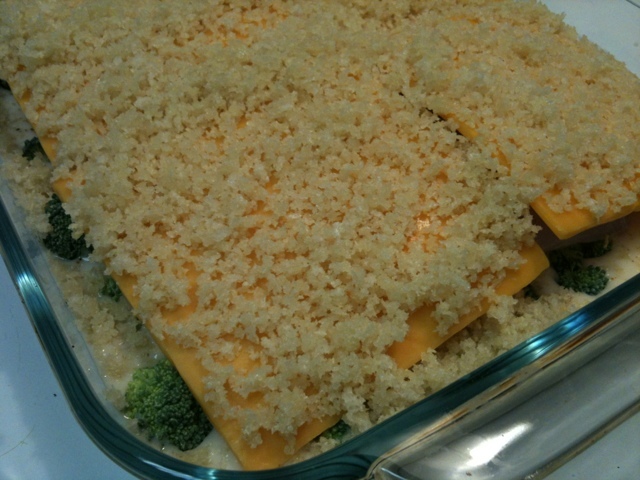 square casserole dish – throw the rice in the bottom. add the soup & milk, whisk together… season. i used a little dijon mustard, some garlic powder (lazy) and some ancho chilli. stir to combine well. bake at 400 for 45 minutes.